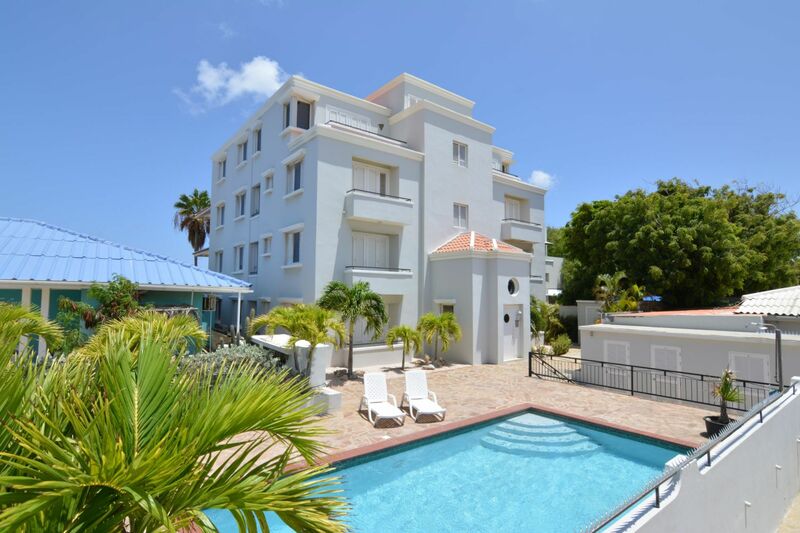 This stunning condo is located on the second floor of the modern style building 'the Shore Residence', overlooking the Caribbean Sea. 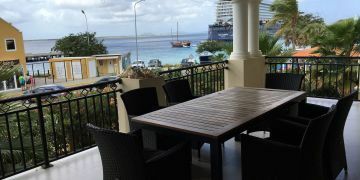 From the large balcony you will enjoy a magnificent view over the Caribbean Sea, while enjoying the cooling breeze. 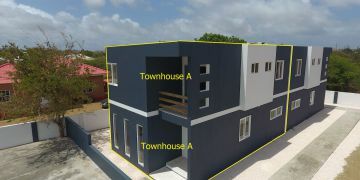 During the day, the screened, sliding doors can be opened, so the balcony will become one big living area, together with the living room and the open plan, fully equipped kitchen. 'The Shore Residence' is located in the center of Kralendijk. You can walk within a few minutes to your favorite restaurant, shop or terrace. 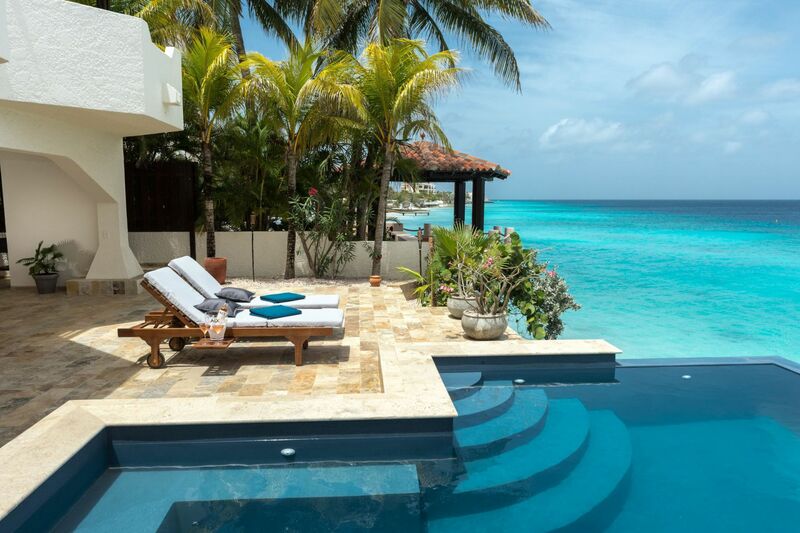 The views over the bay are breath-taking and the colours of the Caribbean Sea change every hour of the day. The unit is tastefully decorated and has 2 airconditioned bedrooms, 2 bathrooms and separate guest toilet. There is a large storage closet. Enjoy the cable television and WIFI or cool down in the shared swimming pool. Windows: All windows, window frames and doors are made of tropical hardwood. Bedroom windows are made with shutters, screens and/or glass panels. Covered stairs or elevator leading to entrance, hall way into living room with folding doors to wide covered porch, open kitchen, dining area with harmonica doors to balcony, master bedroom (with built-in closets & balcony) and private bathroom, second bedroom and private bathroom, separate guest toilet, storage room. Registered at the Land Registry Office Kadaster, number 4-F-1208A4. The condo building sits on private owned land. The parking lots sits on long lease land.